by MERKS: Day 81, outfit 81. Today, I'm wearing blue and army. 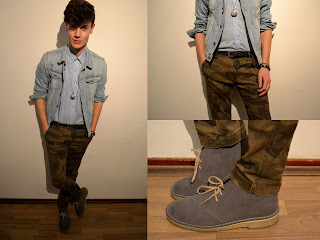 The baby blue shirt is vintage and bought it in Arnhem, the denim jacket and the army jeans are from Zara. Love the Desert Boots from Clarks.